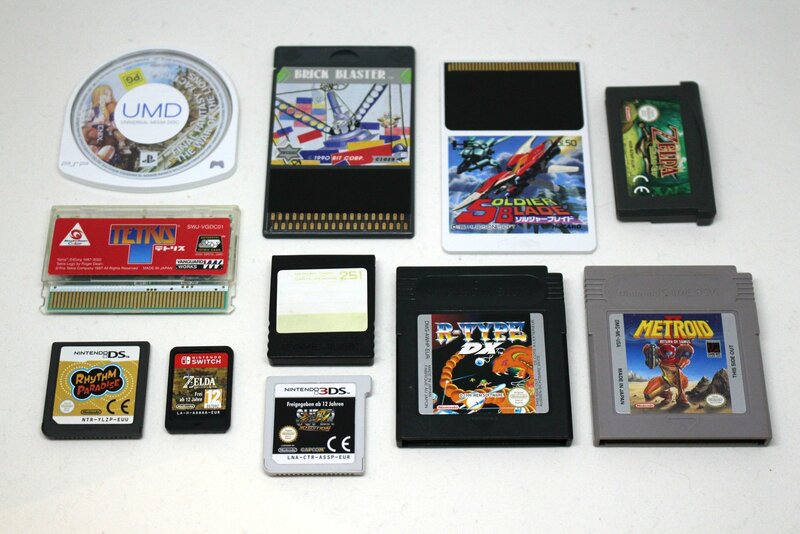 How do you keep kids from eating your tiny video game cartridges? If you're Nintendo, you coat the damn things with the incredibly potent bitterant Denatonium, the compound usually added to things like methanol, antifreeze, and denatured alcohol. Jealous that your old NES carts don't taste so bad? This educational video will help you make your own! The funny thing is that this story only came to light because a reviewer stuck one in their mouth for no particular reason. Also I am noting for posterity that despite the fact I have the ability, as a mod, to hastily change the title of this post to "is this something I'd need to own a tongue to understand", I am going to respect the process and leave it as is. Good thing they're not doing this with Amiibos. The "lickingstuff" tag is disappointingly underused. They blend both toy and game alike! @indubitable Literally my first thought was "How long until Griffin McElroy puts one in his mouth for science?" He forcefully rejected the idea on Twitter, @ThatSomething. My Switch and Zelda come tomorrow, and I don't know how long I can resist putting that thing in my mouth... for science! I dunno about you guys but when I am told explicitly that something is deliberately treated to make it taste as bad as possible, my first reaction is not "now I do want to put it in my mouth"
Several people in the family are big Pokemon Go players, so my first instinct was to wonder what Denatonium evolves into. Back in my day, we didn't have this problem because video game cartridges were too big to fit in your mouth. Atari 2600 cartridges would be a little big except for maybe a Steven Tyler-sized mouth. Colecovision's were a little smaller. We're going to need a YouTube channel for this, I fear. Shopkeeper: The cartridges contain denatonium benzoate. From the Wikipedia article I learned that Denatonium is the local anesthetic lidocaine (lignocaine for you British folks) with a a benzyl group added to it. I look forward to sharing this bit of trivia at work tomorrow! I think that stuff is on the feather headdress of Playmobil Native American Chief figures. As a kid that was definitely the grossest-tasting toy in the house. This, perhaps, could help cows who lik bred obsessively. when I am told explicitly that something is deliberately treated to make it taste as bad as possible, my first reaction is not "now I do want to put it in my mouth"
Pssh, I bet you're the sort of killjoy party pooper who doesn't touch-test things with "wet paint" signs on them, either. Does anyone know what's going on in the video where the chemist is getting weird inconsistent reactions? Is this normal in organic chemistry? I wonder why they never saw fit to do this with DS cartridges, which are only maybe a smidgen larger. My theory is that it has to do with toddler choking hazard specs. The DS cards measure 1.3125" x 1.4375", which just squeaks past the CPSC guideline for a choking hazard at 1.25" or less being a problem. While the even smaller Switch card isn't really subject to the rules, I bet it was a defensive measure on Nintendo's part to keep them out of kids' mouths. Different (and superior) Don't Put it in Your Mouth. Between Jeff's pioneering investigation of this and Drew "blinking white guy" Scanlon, Giant Bomb is once again on the cutting edge of Internet memes. Yesterday was have-a-long-play-on-the-Nintendo-Switch day with a bunch of colleagues, which turned into a six hour session. Some of them had started the midnight before when they bought the kit, and were still going when I left (I'm too old to do 24/7 stuff any more). It's an interesting piece of technology and not quite - in a good way - what I was expecting from Nintendo. Video games where you face your opponent rather than the screen are ... interesting. Think rock-paper-scissors but with a digital enabler as a starting point. I'm also somewhat relieved, after the "What is this, exactly?" disappointment of the Wii U, that realistic game playing situations seem to have been thought through and carefully designed this time. I'm still unpacking thoughts on it. While the others were trying all manner of things (including, in one extreme teccie case, taking apart an expensive piece of kit one had only bought a few hours before - eh? ), I stuck mainly to playing Zelda: Breath of the Wild. Heck; that is one expansive gaming area and I need to go back for another long session. But on the subject of putting things in your mouth that shouldn't be there - the eating contest game may result in some people putting the controller in their mouth, hence the coating is probably a good idea. The new Zelda is pretty great so far! I'm not going to be able to afford this game for at least another couple of months, alas. I keep trying to decide if I should just go ahead and look up spoilers to remain internet relevant or hold out. It's a shame, because it's definitely the most interested I've been in a Zelda game since Wind Waker. Oh, speaking of coatings, the word is that the plastic on the Joy Cons is cured in such a way that it really REALLY doesn't take well to adhesives, that things stuck to it tend to horribly scar and pit the surface. So don't stick things to the Switch, okay? The traditional approach has been to make a MetaTalk post now and then saying OMG LET'S SHARE NINTENDO FRIEND CODES. Yes; this is known as an "Epona".